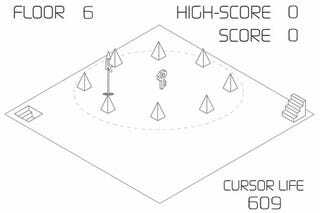 One of our favorite games of 2008 was a Flash game, Cursor*10. We even nominated it for a Kotaku Goaty! The good news for everyone but your mouse-clicking finger is that there's a sequel. While the discovery of Cursor*10's gameplay mechanic—let's not call it a gimmick—was a good part of the gleeful experience, the strategy involved made it replayable to the point where one was pushed to perfect it. In Cursor*10 2nd, there's not much gameplay-wise to differentiate it. But it's still a helluva lot of fun. Enjoy!